A child’s mind is a curious one. I remember collecting all manner of natural oddities from rock pools and forest floors throughout my youth. The diversity of life amazed me from a young age and I always brought my hauls back to show my parents (who probably spent more time than they would have liked shepherding confused hermit crabs off the dining room table). All children are natural-born scientists, conducting their own experiments to make sense of the world. Many parents have discovered their children’s natural collections horded in coat pockets as evidence of our innate wonder at the natural world. Since we are all born as scientists, why do so few continue down this path in their adult lives? There is evidence to suggest that the school environment does not do enough to fulfil children’s curiosity and development. The Standards and Testing Agency released figures in 2017 showing only 1 in 4 Key Stage 2 children are performing sufficiently in science. Test results are still declining to this day. Science education has become an arduous task of learning a large, complex body of information for later regurgitation in examinations. It is no wonder children are struggling to perform. Children require the chance to experiment for themselves and work and play together to allow their curiosity to flourish. Through joining science clubs, where they are free to learn in a way that is more befitting their inquisitive minds, children can continue their studies in the sciences in a way that sharpens their enthusiasm. 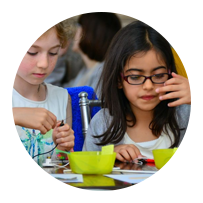 The Little House of Science is a science communication company based in North Kensington offering science workshops and holiday camps to children aged 4-11 years. We have a focus on discovery through experimentation and encouraging the synthesis of new ideas by advancing their cognitive abilities. Primary-aged children are often assumed to be prelogical and unable to think rationally. School science curricula are created without the now evident fact that children are incredibly intuitive. They respond to creative teaching methods with large amounts of time given over to them to learn with and from each other in groups. All our workshops involve activities, demonstrations and experiments. We aim to build on children’s catalogues of facts as well as expel any pre-held misunderstandings about the natural world. Science is not simply physics, chemistry and biology, but a way of thinking that can be applied to any field. 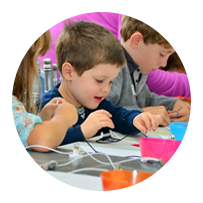 We are born with an intrinsic understanding of the scientific method and The Little House of Science aims to foster this understanding by guiding children in replicating some of the most famous experiments conducted by the greatest minds in history in our workshops, from Galileo to Tesla, from Newton to Brunel. Our world is a highly technological and advanced one. A knowledge of science and technology is critical for any person today. However, with 9.8 billion people living on the planet by 2050 alongside the effects of global warming (now set firmly in motion), there is a very real and urgent need for young scientific thinkers in today’s world. If we can all help to instil in this new generation a keen interest in the sciences, then the better our chances will be at mitigating the consequences of these impending hardships. Dedicated science workshops like ours focus on children’s cognitive skills to increase their problem-solving abilities. Children with strong problem-solving skills and a broad knowledge of the sciences, from astrophysics to computer coding, have bright futures ahead of them. 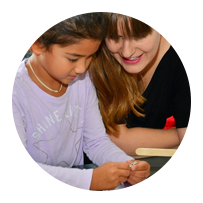 Above all else, we strive to give young girls and boys the means to allow their curiosity in nature to grow without borders.